Booking event childcare is imperative to the smooth running of your wedding or event where little ones are concerned. 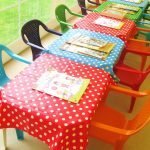 Your guests will relax and enjoy themselves with the knowledge that their children are having great fun and are being cared for and entertained by a team of professional childcare experts. So whether you are organising a wedding, a family celebration or a corporate event, we are here to ensure your day runs smoothly with our impeccable planning and attention to detail. Child carers registered with The Parent & Child Nanny Agency are all qualified and experienced professionals who have been through our meticulous vetting and security checking process for complete peace of mind. The Parent & Child Nanny Agency covers Devon, Cornwall, Somerset and Dorset but will consider any location UK or overseas. We will set up an array of fun filled games, crafts, toys and activities and can transform any space into a child friendly zone full of fun to entertain your little guests. 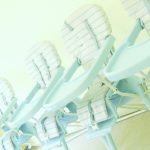 Whether this is a festival style wedding, a corporate sporting event or a traditional party Our crèche service is bespoke and can be themed to your requirements. 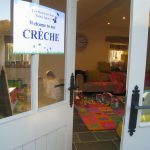 Allow your guests can relax in the knowledge that their children are being cared for and entertained by a team of appropriately qualified and experienced childcare professionals in a secure and environment. The Parent & Child Nanny Agency offers a ‘direct hire’ Event Nanny booking service. 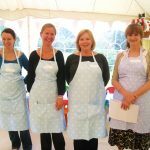 Our Professional Event Nannies will arrive at your event and care for any number of children in either a sole charge capacity or just generally helping out and entertaining your little guests. Our Event nannies will use any play areas, toys and games provided by you, or they can arrive with age appropriate busy bags provided by us to keep your guests occupied throughout the event. Slumber Party Service A fun packed evening of games, light projectors movies and popcorn. This service typically runs from 5pm/6pm onwards and can be provided for the evening or overnight allowing your guests to party in to the early hours. Our Festival Nanny Service offers bespoke, flexible childcare during the day or for evening babysitting at the tent/caravan allowing families time out to catch a gig, grab something to eat and relax and enjoy the festival for a period of child-free time out. Festival Nanny services can be provided via the festival event planners or directly with clients booking for themselves. 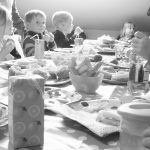 The Parent & Child Nanny Agency offers a bespoke birthday party service from a traditional style children’s birthday party to sweet sixteens. Our event nannies will ensure the smooth running of the party allowing parents to sit back and relax whilst the children enjoy the fun. We will provide a designated Party Planner, who will discuss your ideas, requirements and budget. We can arrange everything from the venue, decoration, entertainment, party food, marquees and much, much more… the sky is the limit! The Parent & Child Nanny Agency can provide a lost child facility to any event. We will set up an Event shelter on-site to provide a safe-haven to children who have lost their parents/carers at busy events such as festivals, concerts, exhibitions, conferences and other large scale events. Our qualified and experienced nannies will offer a safe and secure environment for children to play until parents have been located.